Wednesday, December 27th, 2017 at 6:41pm. It is wise to ask questions (simple or complex) when buying an Edmonton house. However, sometimes the answers get lost because of the excitement that you feel when you finally see that Edmonton house that could be yours, for the first time! Emotions may be high but it is best to think with your head and not just with your heart. In order to help, here are some simple questions to ask when buying an Edmonton house. • How much will you offer? You should research the location of the Edmonton property and compare prices to know how much is reasonable. Home values are constantly changing! Monday, December 25th, 2017 at 6:01am. Buying an Edmonton house is one of the most important decisions you’ll ever make in your life. From picking a location to choosing a mortgage loan, there are plenty of things to decide on when buying an Edmonton house. With a whole lot of patience and a proper mindset, you can answer these questions without any doubt. Here are 5 questions to think of before buying an Edmonton house. Sunday, December 24th, 2017 at 8:35pm. After buying an Edmonton house, you will need to consider the other expenses which will be brought about by the purchase. You may not be thinking about it right now because of the excitement that you feel at the moment but sooner or later the realization will come that you’ll need to buy different items to prepare your Edmonton home. Read on to know what items to purchase after buying an Edmonton house. Saturday, December 23rd, 2017 at 8:25pm. Humans are very fearful creatures especially of the unknown. 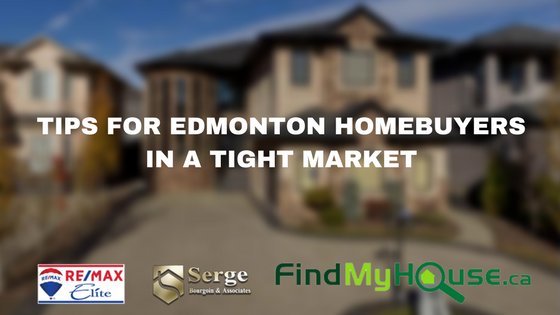 As a first time Edmonton homebuyer you’ll have doubts lurking in the back of your mind, wondering how you will know if you have found the right Edmonton house. Delaying the purchase of the Edmonton property you have found could easily lead to somebody else snatching up the opportunity but rushing the buying process can result in disappointment over time. With that in mind, we have come up with 7 ways for you to recognize that you have found the right Edmonton house. DECEMBER LUXURY HOMES REPORT - CHANGES IN THE EDMONTON LUXURY HOMES MARKET? Wednesday, December 13th, 2017 at 3:26pm. As always here at Team Leading Edge, our goal is to keep you informed and up to speed on market conditions. We are happy to provide you with the whole report! If you would like the whole report, simply call or email us! We would be happy to provide you with the complete report and answer any questions that apply specifically to the Edmonton Luxury Real Estate Market. Let us provide you with the expertise that you so richly deserve. Tuesday, December 12th, 2017 at 6:30pm. Buying an Edmonton house is full of many steps and decisions along the way. Sometimes we can make mistakes because we lack certain information which can help us. For the first-time Edmonton homebuyer, it can be a nerve-racking experience to venture out in the open to look for that Edmonton house you’ve always dreamed off. To help you with your journey, we’ve come up with a list of potential errors that you should try to avoid when it’s finally time to buy that Edmonton house. Monday, December 11th, 2017 at 7:48pm. There may be a time when the market becomes tight. This happens when inventory is low and as a result, Edmonton home prices tend to go up in particular areas. It can be an overwhelming process to buy an Edmonton house, especially in a tight market. Read on to know what to do in this kind of situation. The Edmonton buying process starts with knowing your budget. Besides your savings, you can get pre-approved for a mortgage to get an idea of what your financial limit is. Consider additional costs such as taxes and utilities when buying an Edmonton house. Saturday, December 2nd, 2017 at 5:16am. Welcome to Jackson Heights! With this size & these features you’ll be hard pressed to find a better deal in the area. 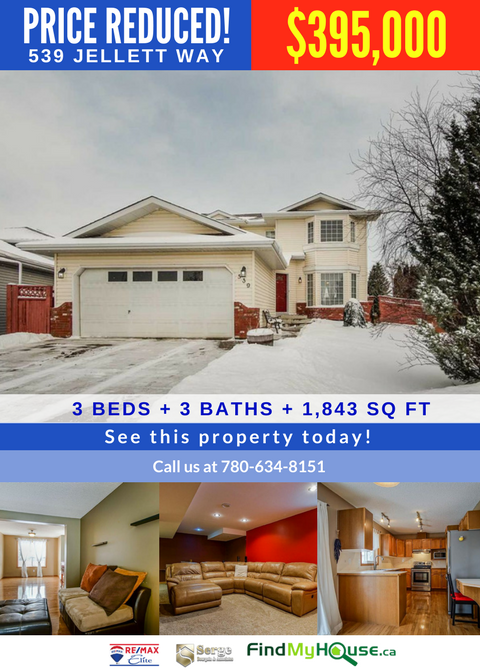 This 2 story has over 2,400 sq.ft of developed living space with hard wood all on the main floor the many windows bring in all the natural light making it warm & friendly.